Vtech creates several Innotab products and each one varies with different options, bells and whistles. The Vtech Innotab 3s Learning Tablet is able to provide hours of interactive and educational fun for your child at a great value. Overall the Vtech Innotab 3s Learning Tablet, which includes WiFi is a good investment and we rated it a 4 out of 5. The durability, game options, great parental controls, access to Vtech’s Learning Lodge and age range proved to show this tablet has a lot to offer your family. The Vtech Innotab 3s Learning Tablet is affordable. Options start around $50 and the Vtech Innotab 3s comes with a stylus, 19 built in apps and also includes the rechargeable battery pack and AC adapter. There is also a bundle pack option available that include a folio case and headphones. Additional games and apps purchased online can be as much as $25, but most are less than $15. A good number of games and apps are as low as $3 each. Most game cartridges can be purchased from $15 to $25, but some cartridges go as low as $10. Regardless of how you go, this tablet is a really great value. This is why we’ve selected the VTech Innotab 3s as one of our top tablets under $100. The Vtech Innotab 3s Learning Tablet was built with kids in mind and was constructed as such. This tablet really seems to hold up well to normal use by kids, in other words, they still work after accidentally being dropped repeatedly. There are gel skins available in many different colors for additional protection. There is a one year limited warranty with all of Vtech Innotabs. Unfortunately, there are a number of complaints concerning Vtech customer service. It can be difficult to reach a live person at their customer service number and the customer service representatives are not always able to satisfactorily resolve customer issues. The Vtech Innotab 3s Learning Tablet comes with a rechargeable battery pack and AC adapter. Battery life ranges from about 4 to 5 hours depending on WiFi usage. Kids as young as 3 are able to easily learn how to use the Vtech Innotab 3s Learning Tablet and its features. 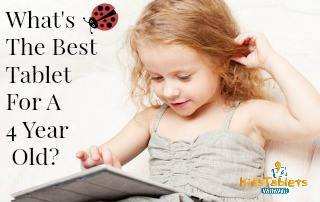 The InnoTab 3S has some preselected kid friendly web sites, but it is easy for parents to approve additional sites. Children can only browse Websites that have been added to the list by an adult. The Vtech Innotab 3s offers many fun games, ebooks and apps, but the main focus of the products is educational. The company tries to mix fun into the educational games so often kids are learning without even realizing it. They have won Tillywig Toys & Media Awards as well as BrainChild Awards. Vtech tries to ensure there are a large number of games and apps that appeal to a variety of ages. They have offerings for kids from pre-school to elementary school. There is quite a bit of growth potential. 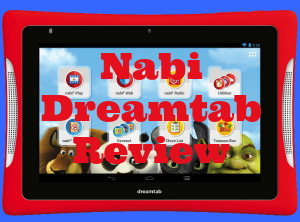 The Innotab Learning Tablets offer a lot of options that are for fun and not just education. The Vtech Innotab 3S does allow users to browse kid friendly websites. Unfortunately, Netflix does not run on the device. There is an available app called Kid Connect Premium. I liked the fact that this app allows your child to communicate to you via your smartphone with text messages, voice messages, stickers photos and even drawings. One of the major downsides of this tablet especially in comparison to the LeapPad tablets is that it can often be difficult to find playable videos. The InnoTab 3S has 4GB of built in memory. All versions do have memory card slots, for expandable storage space up to 32GB. The load and processing speed of the Innotab 3s is a bit slow. There is a 2.0 MP camera which means the picture quality is not as good as a digital camera, but overall kids still thoroughly enjoy the system. The camera does have a 180 degree swivel to capture all angles of fun for the kids along with video capabilities. Unfortunately there are not many color options available with the InnoTab. But they do cover the two main color choices of pink and blue. One good thing to take into consideration is that there are numerous versions of the InnoTab 3S available featuring characters from Disney, Nickelodeon, Nick Jr, and Disney Jr. These character bundle packs give your child the ability to feel as their tablet is truly unique. Kids are also able to create their own avatar and use their own photos to have their very own personalized screen. Summary : While the Vtech Innotab 3S may not be for everyone. It is certainly a viable option for children under the age of 7. Its lack of video support is discouraging, but the game cartridges and educational content available more than make up for its deficiency for younger children. The included durability that this tablet provides will stand up to the toughest of treatment from children of all ages. This helps to secure our rating of this tablet as one of the better tablets for this age group. Aside from the actual color of the tablet, there is no difference in the two. Thanks for asking!